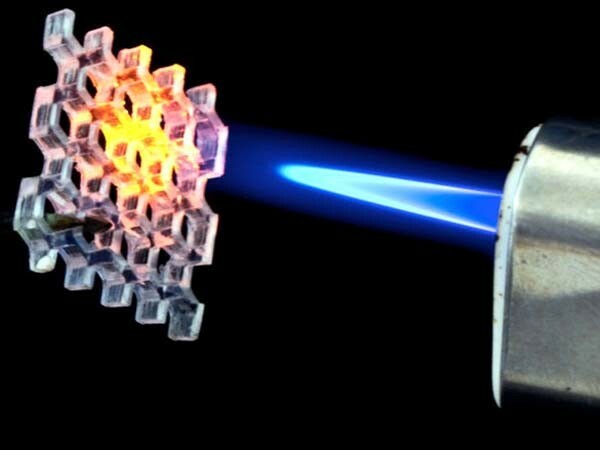 Standard 3D printing technology is being used to create intricate structures and shapes from high-purity glass types, such as fused silica glass. Although researchers have employed the new technique to create tiny glass castles and pretzels, they are confident it can be used to produce structures of high optical quality, suitable for the design of complex lenses and filters. Glass has several useful properties, including electrical and thermal insulation, and unmatched optical transparency. Using high-purity glass to create bespoke structures can become difficult, given the need for high processing temperatures and/or harsh chemicals. In the technique devised by Bastian Rapp and his colleagues, a free-flowing silica nano-composite called ‘liquid glass’ is used in a standard 3D printer to create complex shapes. These shapes are then heat-treated to produce optical-quality, fused silica glass structures. The new technique is capable of producing structures that are smooth and transparent, offer features as small as a few tens of micrometres, and have surfaces with sufficient clarity and reflectivity for a range of optical applications. This latest 3D technique enables one of the oldest known materials to be accessible to 21st century ingenuity.